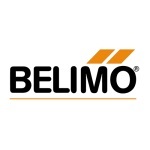 Visit our DESIGN ADVISOR PROGRAM, Design your Concept Diagram by clicks, Free! During our 18 years design and technical support, these ideas and diagrams have been hidden in our computers. The year 2017 and 2018, we built up our new website: www.modularhydronics.com for promoting most of by our clients well-known PAW and RESOL series products. 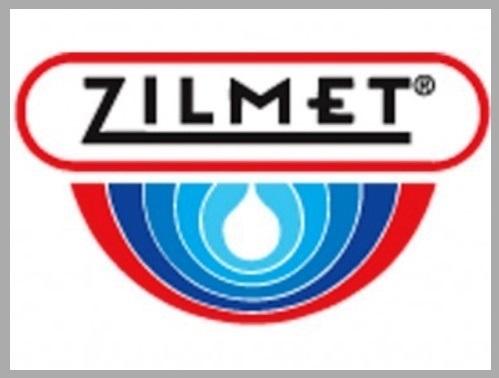 Instead of presenting products one by one, we moved one more step and provided pre-engineer modular hydronic packages on this new website. "Why we still keep these diagrams in our computers" pushed us to put in order these 300 standard and custom layout diagrams based on 2-zone, 3-zone and 4-zone systems, more than 90% of them originated from real-world projects. 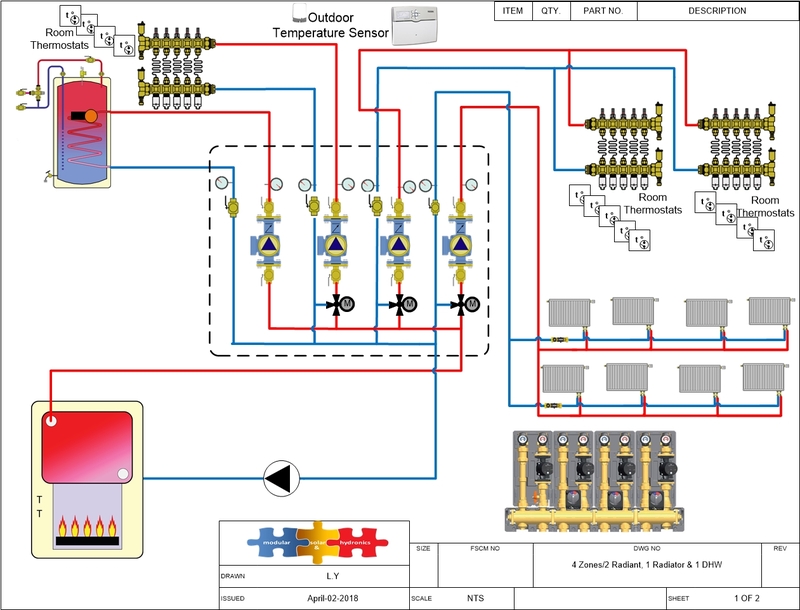 Our initiative is these diagrams help you better understand how our "plug & play" modules are applied into multiple heat sources hydronic systems. The E-library encloses regular Modulation Condensing, standard Gas, oil, wood, and electrical boiler, or heat pump, and work with/without Domestic hot water, and Solar heat source. 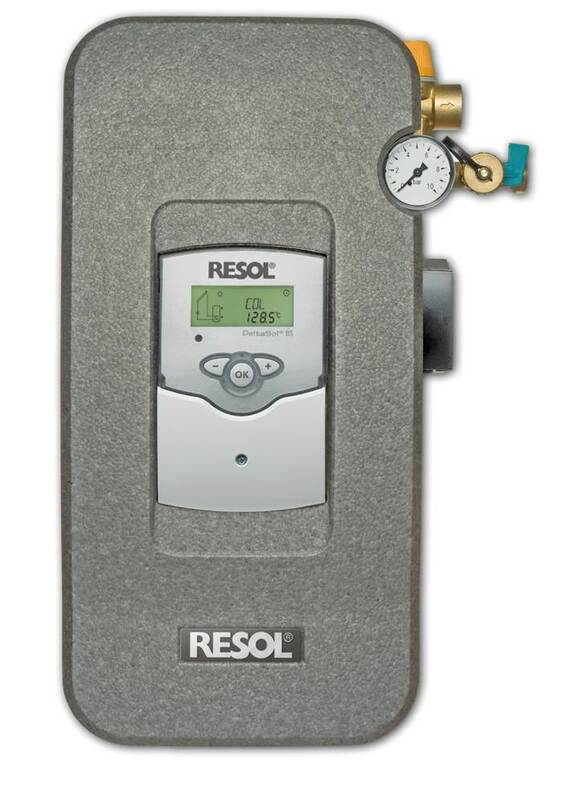 Resol DeltaSol MX controller has maximum 15 sensor inputs, 13 relay outputs and 1 dry contact relay. Beside its brilliant capability of controlling complex solar thermal systems, it is also an optimal solution to control multi-zone hydronic systems. Buffer Tank Back up Heating. Resol FlowSol B dual-Line pump station with an integrated RESOL BS PLUS controller is a pre-assemble and pre-wired unit installed in solar hot water system primary loop. 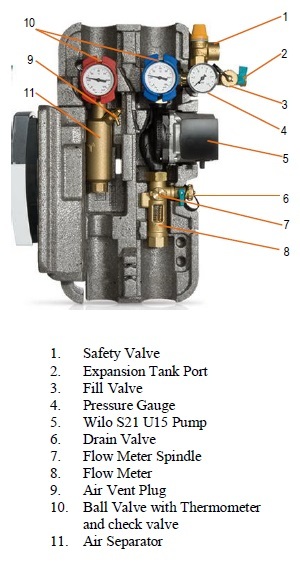 The pre-wired Wilo Star S21 three speed pump is controlled by the RESOL BS PLUS controller based on solar collector(s) and solar tank temperature differential. Resol server-based dataloggers and vbus.net are fulfilling the niche of monitoring, controlling, and troubleshooting system remotely without changing settings in your routers. 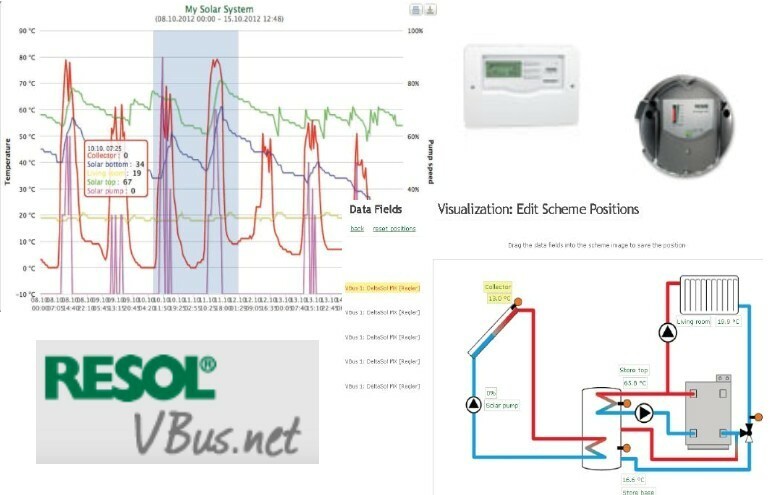 What are the major priorities of Resol dataloggers and vbus.net?